Visitors are welcome to attend club meetings to meet members and find out more about the club and are also welcome to go on three trips before becoming members. Our club has discount purchasing for club members. An electronic club magazine is produced and is available for download, this includes reports of recent trips and details of up coming trips and social events. Missed out on receiving an E-Mag or want to see a previous edition, simply download a copy of each months publication from our E-Mag page. 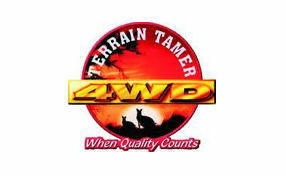 So if you are thinking of joining a 4WD club, come along to a club meeting and find out more about us. Each membership category, as well as membership renewals, are available through our online shop. If you are unable to purchase via our online shop, please download an application form and email it to secretary@tlccdarwin.com.au. Amount paid and bank reference used. If paid through the Shopping Cart, state "PayPal". 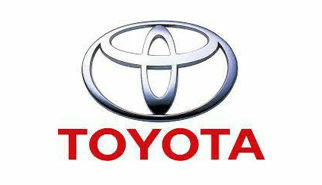 I hereby make application to join the Toyota Landcruiser Club Darwin Branch Inc. (TLCC Darwin). I understand that being accepted as a member of the TLCC Darwin, I am also affiliated with Four Wheel Drive Northern Territory to which the TLCC Darwin is affiliated. I acknowledge that four wheel driving is a motor sport activity conducted in the natural environment, which poses inherent risks. Consequently, on becoming a member of the club, I accept responsibility for any injury I may sustain or damage to my vehicle in such circumstances. I acknowledge and waive any right of action against the TLCC Darwin, their Executives and members and absolve them from and liability in relation thereto. I agree to be bound by the Constitution, Statement of Purposes and By Laws of the TLCC Darwin for the time being in force. The applicant/s whose signature appears on this form, further authorise any officers, members, or servants of the TLCC Darwin in the event of accident or illness befalling them whilst engaged in any TLCC Darwin activity or function to obtain any medical assistance or treatment whatsoever as deemed necessary. For this purpose, in the engagement of any such assistance, the applicant/s agree to pay all such doctors, nurses, or hospital fees and expenses other than fees and expenses recoverable under any policy of insurance whatsoever. Such fees are to be paid to the TLCC Darwin on demand. From time to time, TLCC Darwin may use members names and pictures (including those images submitted by you) for advertising the club in media such as the website, magazine, promotional brochures, as well as radio and television, social media, including our public and closed Facebook pages. By submitting this form, you are authorising the use of this information for these purposes, without specific copyright acknowledgement (which you retain regardless). If, for some reason you do not want this to occur please email secretary@tlccdarwin.com.au with particulars, and/or don't submit images to the Facebook page and/or club magazine. I also confirm that I hold third party property and/or comprehensive motor vehicle insurance for the listed vehicle /s and agree that upon my acceptance as a member of, or renewal of my membership of The TLCC Darwin, I will adhere to the rules of the Club as set down in the Constitution and By-laws, and by its Officers including all Federal, State and Territory Acts and Regulations. I agree to the membership terms and conditions stated above.